The Vision of Faith Fellowship International was birthed in prayer nearly twenty years ago. After having life-changing experiences with God, leading ultimately to making Jesus their Lord and Savior, both Dwayne and Tiffani Wilson began attending Agape Church in Little Rock, Arkansas, just a couple years apart from each other. After just a few short months of being fed the uncompromising Word of God by Pastor Happy Caldwell, that Word of Faith seeded into their hearts began to take root, and they bore witness to the calling on their lives. They submitted fully to the leading and guidance of their pastor, becoming heavily involved in various ministries of helps, from ushering to music ministry, life groups, prison & jail outreaches, camp meetings, and both mens & ladies ministries. Most weeks they found themselves at church or church-related activities six to seven days a week. They began to hunger for yet an even deeper level of intimacy with the Lord, and further revelation of the ministry they unquestionably felt stirring on the inside of them. This led to enrolling in Agape School of World Evangelism, a Bible school that was designed to equip both ministers and missionaries to reproduce the Word of Faith in their cities, states, nations and world. During Bible school, students would gather before classes began each morning in intercessory prayer. This is where the Lord began to reveal to Dwayne & Tiffani His plan to "Demonstrate the Person of Jesus" through them, beginning in the city of Conway, Arkansas, in a "fellowship of Faith." The Lord was very specific, telling them they would know when that season was coming upon them. They continued their season at Agape Church, leaving their careers to work for the church full-time in late 1999. They had an extensive education in the administration of a Spirit-led ministry centered on the Word of God, recognizing Pastors Happy and Jeanne Caldwell as the spiritual mother and father the Lord placed over their lives. Dwayne & Tiffani highly esteem this foundational season in their walk with the Lord, knowing this priceless time in their lives greatly shaped the leaders they are today. 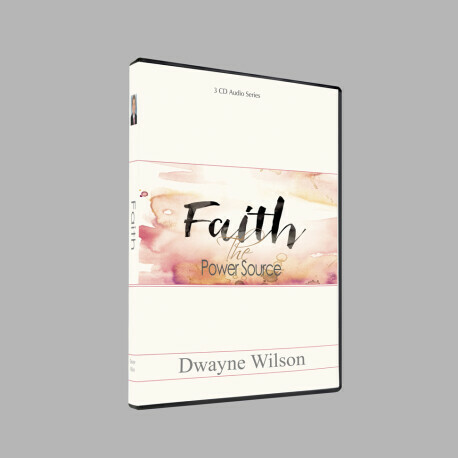 In the Spring of 2002, Dwayne knew the Lord was indicating the time was upon them to begin the transition to Conway, Arkansas, to give birth to the ministry the Lord had shown them years before. This was a difficult transition to make in the natural realm, as Agape Church had truly become their "family" in the Lord. But recognizing the time was at hand, with their pastors' blessing, Dwayne & Tiffani ventured to Conway that summer, in search of both a new home, and a place to minister the Gospel. God's hand was upon them as they stepped out in faith, and He immediately connected them with the right people, businesses and leaders in this new community. They secured a home, and then a 7,500-square-foot building to begin the ministry of Faith Fellowship International in just a matter of days. Every time a new need presented itself, over the next few weeks, whether it was chairs for the congregation, the pulpit, sound equipment, or children's church furnishings... God provided those needs each and every time. After pastoring the growing congregation of FFI in Conway for several years, God revealed that pastoring was just one facet of the ministry He had called Dwayne & Tiffani to raise up. He reminded them that they had become the leaders they were now because they were rooted and grounded in a Word of God-based ministry, a "line upon line, precept upon precept" ministry of faith and confession, years ago, which included an in-depth, intensive Bible school. Faith Fellowship Bible Institute, now known as Mandate Bible Training Center, was then begun in 2004, and went on to see hundreds of graduates, as well as campuses in two other Arkansas cities in addition to Conway, Arkansas. FFI went on to birth another vision from the Lord, The Net Café. In need of fellowship space for their growing number of families, Dwayne & Tiffani began to look at additional space next door to the church to meet this need. In planning the space, God specifically gave the name The Net Café to the leaders of FFI, and that this café should not just minister to the current membership of the church, but be open to the public during the day, as we are called to be "fishers of men." The restaurant was an instant success in the Conway community, reaching thousands of people with a delicious meal and the love of God ministered daily. In 2014, both Dwayne & Tiffani began to sense a significant change coming upon them. They recognized pastoring was just the first phase of the ministry God had called them to establish, and instructed them to begin traveling with the message of the Gospel. This revelation requires consistent, line upon line, precept upon precept teaching and preaching, as well as meditation, confession and faith in the Word (Joshua 1:8, Romans 10:6-14). The Lord revealed a great void in this particular area of the Church body to Dwayne & Tiffani, and birthed the vision of Mandate Bible Training Center in their hearts. The earmark of Faith Fellowship International’s ministry has always been, and will always continue to be the anointing and presence of God tangibly manifested in each & every gathering, be it a Bible study or class, a full church service, or any of its various outreaches. While many new and innovative styles of ministering the Gospel have surfaced in the last decade or two, Dwayne & Tiffani have always firmly maintained that there is simply no replacement for the anointing of God, and teaching and preaching His revealed Word, in any form of ministry. If you are new to our family or simply have not yet attended a Membership Class, you are invited to attend our introductory class called Introduction to FFI. Click the link below and signup for the next class, and don’t hesitate to reach out for more information.